The Sinas Dramis Law Firm has been a fixture in the mid-Michigan legal community since 1951. Our experienced Lansing personal injury lawyers handle cases involving negligent or wrongful conduct that causes harm to others. 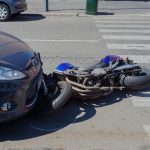 In particular, our attorneys have extensive expertise in handling a range of auto accident cases, semi-truck accident claims, wrongful death accidents, motorcycle collisions, bicycle-automobile accidents, and auto no-fault law. 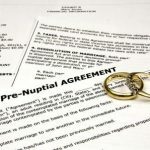 In addition, our Lansing family law attorneys handle divorce, custody and child support cases, as well as many other domestic relations issues. Our Lansing personal injury lawyers and family law attorneys provide only top-notch legal representation. We understand that it is stressful to be involved in a lawsuit. That’s why we will stand beside you … every step of the way. While our firm has always been located in Lansing, we built our current office at 3380 Pine Tree Road in 1999. We are minutes away from downtown Lansing, East Lansing and Okemos. We are close to several major highways and are easy to reach from anywhere in mid-Michigan and beyond. To better serve our West Michigan clients, we also have a team of Grand Rapids personal injury attorneys. Thomas G. Sinas and Lee C. Dramis founded the Sinas Dramis Law Firm in downtown Lansing, near the State Capitol, more than 60 years ago. Both men believed that everyone deserves excellent legal representation. They believed that access to effective legal advocacy is not reserved for the wealthy and well-connected, and that those who have been harmed are entitled to their day in court. This continues to be the principle that guides the Sinas Dramis team of Lansing personal injury lawyers. Our Lansing personal injury lawyers and family law attorneys can handle your personal injury, auto no-fault, bicycle law and family law matters. From slip and fall claims to construction site accidents to nursing home abuse to wrongful death claims, we understand that being harmed involves more than the actual injury. It also involves you or your loved one’s care and recovery afterward, among many other things. Our Lansing personal injury lawyers have the knowledge and expertise to help you with your legal claim. We will work tirelessly, to make sure you understand your rights — and to get you the results that you deserve. No one anticipates being in an auto accident, motorcycle accident or semi-truck accident. But if you are, you not only have to handle your own recovery, but also have to deal with your auto no-fault insurance company. Too often, our Lansing auto no-fault attorneys have encountered people who have faithfully paid their insurance premiums but have had their insurance company deny their auto no-fault claims. We also handle cases where the other driver was underinsured or had no insurance at all. Over the years, many of our clients have been catastrophically injured as a result of their accidents, facing months or even years of recovery. No matter what your circumstance, our Lansing car accident lawyers can help. 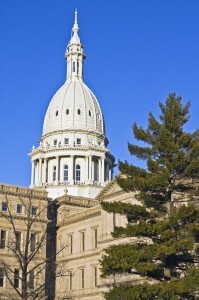 Our attorneys have decades of experience representing clients throughout Michigan. Contact us today for an initial consultation. More bicyclists are on the roads today than ever before. As people increasingly turn to bicycling for exercise and transportation, it is critical that everyone who uses the roadways understand their rights and responsibilities. Unfortunately, we have seen a growing number of bicyclists injured while riding on Michigan roads. We’ve also seen bicyclists who have been threatened by motorists who do not understand that bicyclists have a legal right to use the roadways. 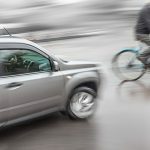 If this has been your experience and you’ve been injured while riding a bicycle, you need an experienced Lansing bicycle accident attorney — one who knows the Michigan bicycle laws and will fight for your rights. Whether you are going through a divorce or legal separation, or need help with custody and support claims, the Michigan family law attorneys at the Sinas Dramis Law Firm are committed to helping you. We understand that a divorce, custody or support matter can be stressful. Our family law attorneys have decades of experience in all types of domestic relations issues. The attorneys in our family law division have the knowledge and expertise to get you the results that you deserve. The Sinas Dramis Law Firm is dedicated to giving back to the Lansing-area community, which has been so good to us. We do this not only through legal representation both inside and outside the courtroom, but also by advocating for bicycle safety and educating mid-Michigan residents about the law. Giving back is a longstanding Sinas Dramis tradition. Shortly after the firm was founded, Tom Sinas and Lee Dramis were faced with a client who could not pay his bill. The client, who was a fruit and vegetable vendor, offered to give the firm a truckload of bananas as payment. Not only did Tom Sinas and Lee Dramis accept the bananas as payment, but with the vendor’s permission, they drove the truck and distributed the bananas to the less fortunate in the Lansing community. While we have come a long way from those times, the lessons taught by Tom Sinas and Lee Dramis live on with us to this day. That’s why we continue to give back to the Lansing community by sponsoring two important annual events: Lids for Kids and the People’s Law School.